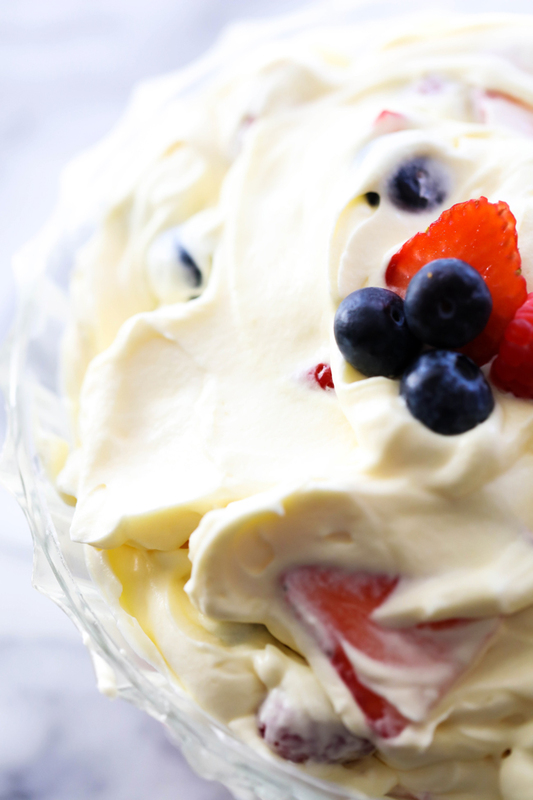 This Creamy Berry Salad is absolutely perfect for BBQs, potlucks or get togethers. 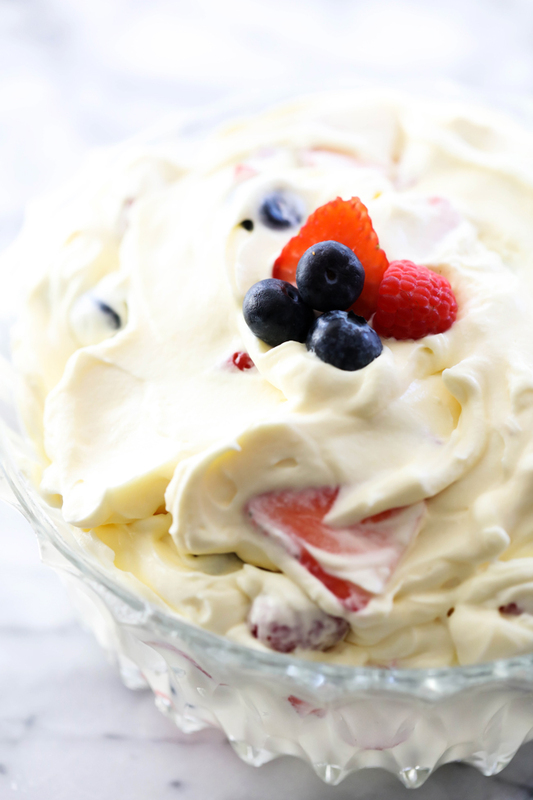 It is so light in texture, and the creamy vanilla whipped filling complements the plump and juicy berries creating a refreshing and flavorful taste. This is always the first thing to disappear in a crowd. I love fluff salads at BBQs and potlucks. It is always the first thing my kids and I bolt for. I also love to bring them because the are SO simple, require no baking and are light in texture and delicious. This particular recipe for Creamy Berry Salad is one that my family has been making for years now. It is a FAVORITE! The berries are surrounded by a creamy whipped filling encompassing sweetened whipped cream, milk, and vanilla pudding. It is so fluffy and absolutely PERFECT for summer! In a large mixing bowl, combine pudding and milk and beat for 2 minutes on medium speed. Refrigerate for 5 minutes. In a medium mixing bowl, beat heavy whipping cream and sugar until it forms stiff peaks. Fold the whipping cream into the pudding.